A big talk in asset allocation has been the search for yield, but it is just as important to remember there has been a search for diversification. These two key searches intersect with allocations to alternatives. 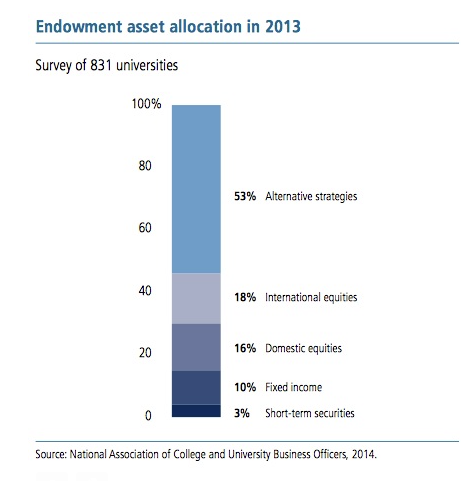 Smart investors, endowments, have been actively putting their money to use with alternatives. A recent survey shows the allocation to alternatives by universities is now over 50%. 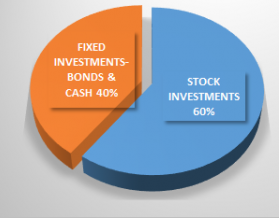 Fixed income has been cut out of the portfolio and sits at 10%. The search for yields has led away from traditional bond allocations. Total equity between domestic and international is at 28%, but a large portion of the alternatives exposure is likely to be long/short equity strategies. Endowments have abandoned the 60/40 stock/bond mix and focused on strategies that give higher returns than bonds, similar volatility, and low correlation to core equities. Bonds have been a low correlated asset to stocks but the benefit is reduced when yields are low. Alternative strategies have volatility levels closer to bonds with a further diversification and return kicker. The market has responded to this demand with a significant increase in liquid alternative offering for every sized client. 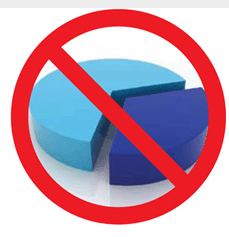 The issue is not whether you have alternatives in your portfolio but how much exposure. If we have 2% inflation, central bankers around the world believe the world will be a good place. Economic growth, in their view, should be at or above trend. Inflation targets will be met and even if purchasing power is eroded each year, consumers and investors should be happy with "optimal" price increases. If we have 0% inflation, a 2% decline, there is the belief that economic growth will stall and we will be in a potential economic emergency. If we have 2% deflation, it seems central bankers think the world will be coming to an end. The world will be in a crisis which would require immediate action and the coordination of economic leaders. 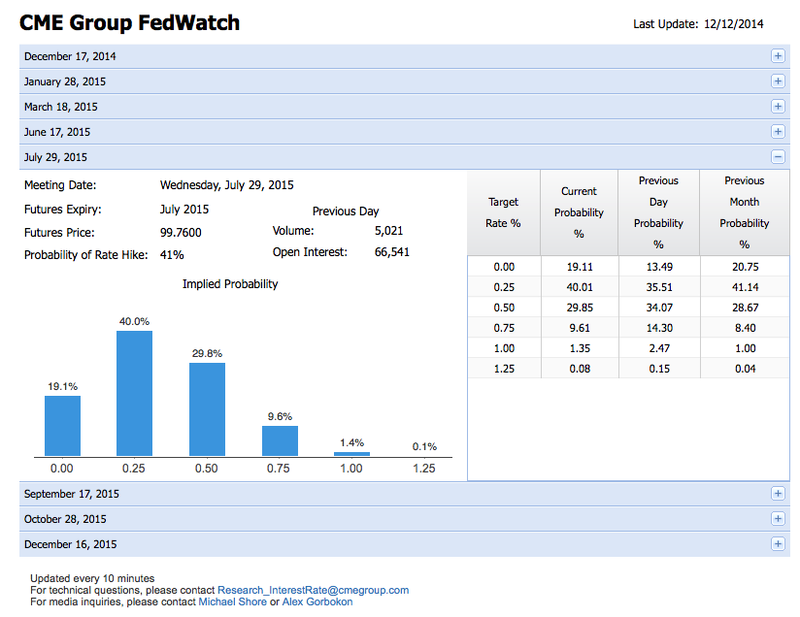 An increase above 2% would hardly cause much panic by central bankers. The non-linear response to declining inflation below 2% seems extraordinary. Inflation approaching zero and potentially going negative has a grip on the thought process of all policy-makers. A fear of deflation or zero inflation is justified, but are consumers and investors as sensitive to a 2% decline below target as central bankers? 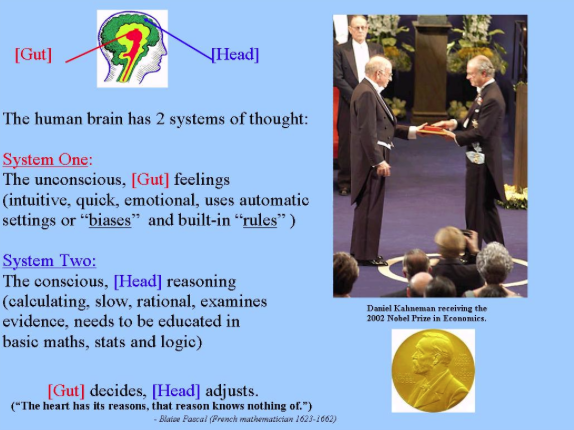 What is the sensitivity to money illusion? 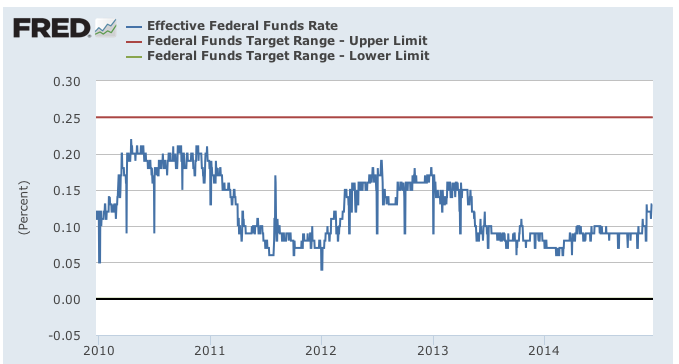 Are there a set of (non-monetary) policies that can offset the fear of living below the 2% target? Our thinking about inflation at 2%, 0%, and -2% levels has be better refined and clarified if we are going to survive the next few years. The fear of 2% below the inflation target has to be replaced with actions that can reduce market uncertainty and foster growth and productivity. 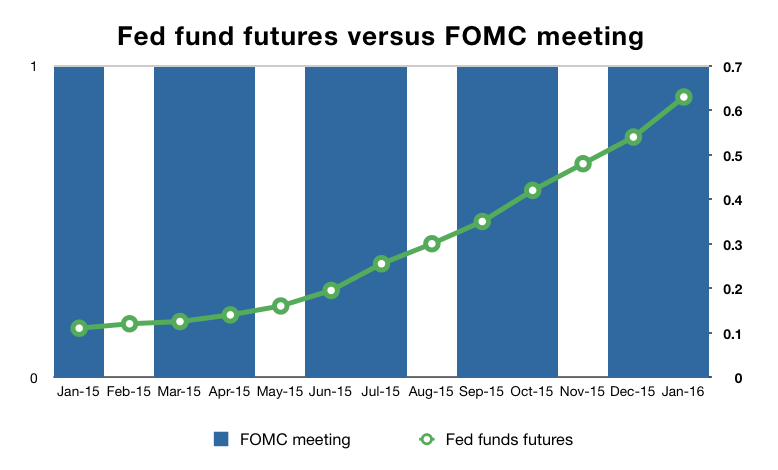 The action of the Fed to increase rates cannot be thought of in isolation. 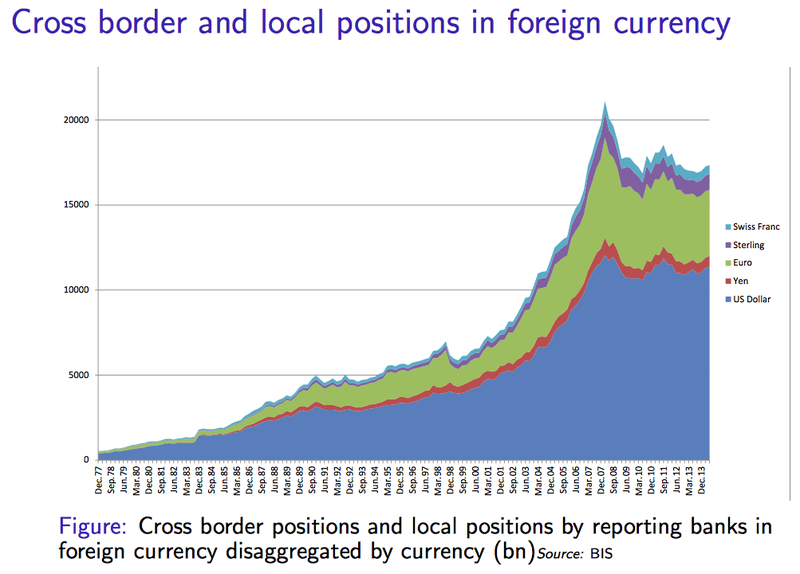 The dollar is the key funding currency for cross-border credit. Any action to raise rates will have spill-over effects to the rest of the world. 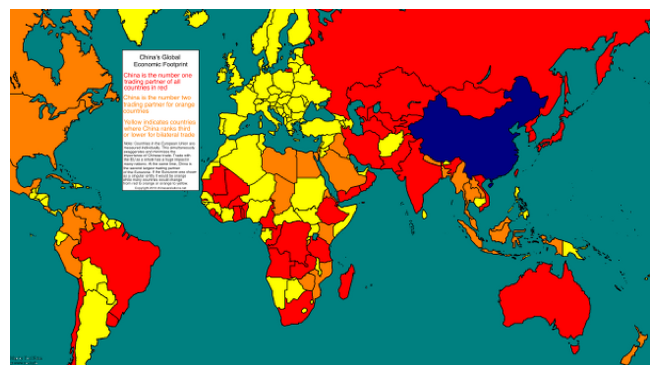 The US will export its policies to the rest of the world. The international credit channel is critical for global growth and asset performance Investors need to think about the implications of any US action on the cost and availability of credit. 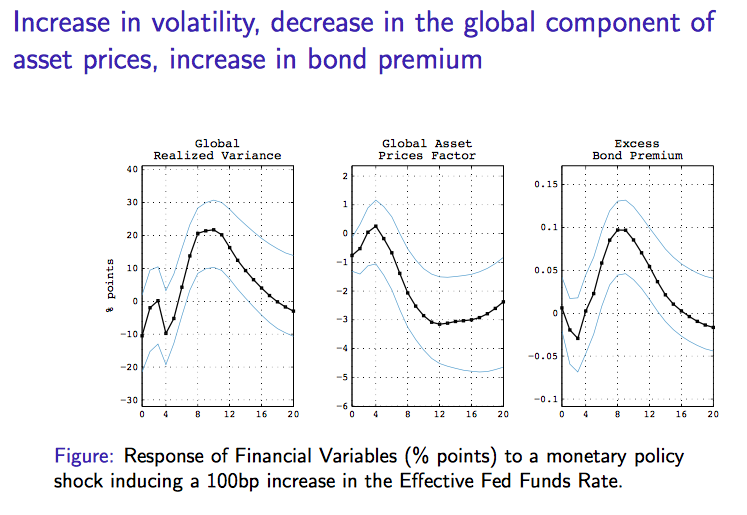 Helene Rey gave the recent Mundell-Fleming Lecture at the IMF and presented research on how the global credit markets are connected. (The charts are from her presentation.) 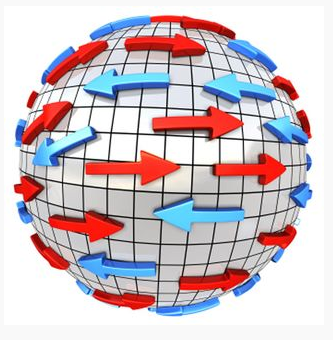 There is a global financial cycle which is affected by common factors. For example, a shock to risk such as an increase in the VIX "fear index" will have a strong impact on cross border lending and pricing. 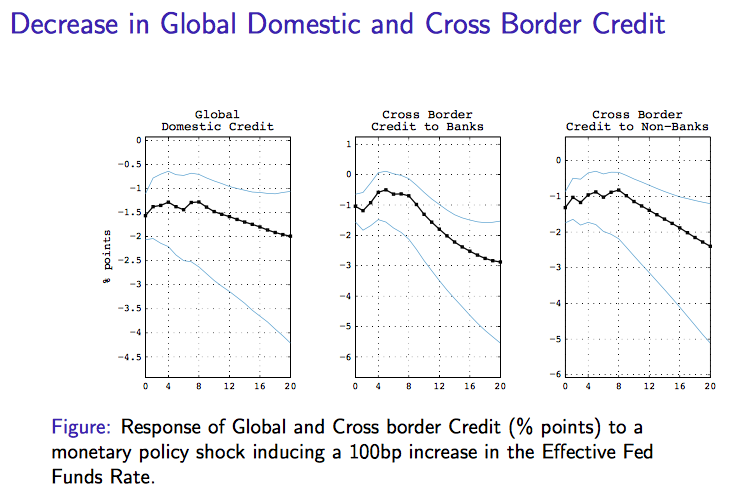 Rey also finds that the global credit is related to shocks in the Fed funds rate. 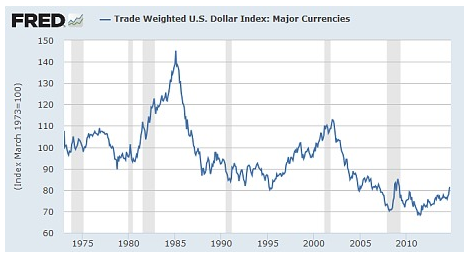 If you just look at the size of dollar funding, this should not be surprising. 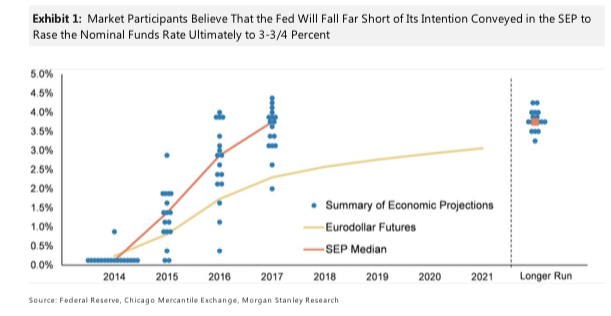 A Fed funds shock will increase global risk premiums, have a negative impact on asset prices, increase volatility, decrease leverage, and cut global credit. The impact is across all markets and is sizable. The Fed cannot think only about what is happening in the US when it take an action. 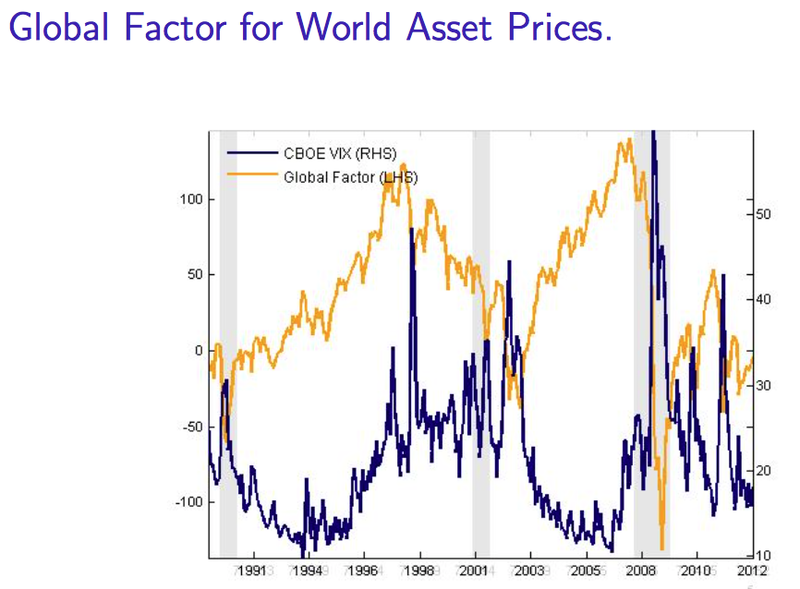 Similarly, investors have to be prepared for a global fall-out from any Fed actions and the result may not be pretty. 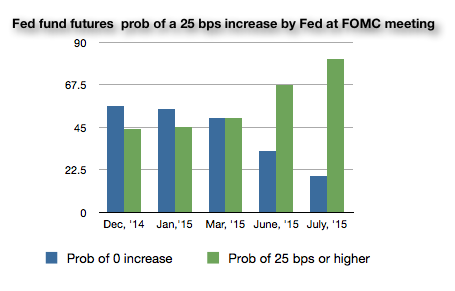 Fed curb on bank commodity trading - good for CTA's? The Fed is planning to move forward with rules to limit the trading of commodities by banks. 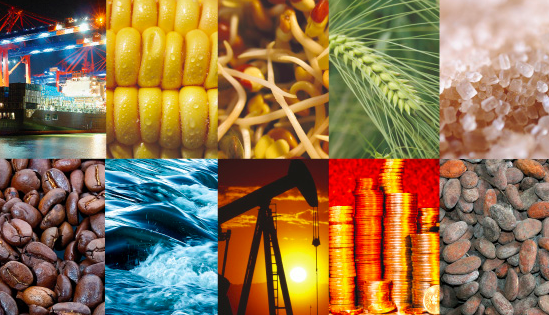 The potential risks from trading commodities are thought to be great enough to require more capital or the risk of a potential taxpayer bailout, so Fed views a limit on bank commodity activity is warranted. It is not clear the specific form this will take, but it is likely that banks will be out of the physical commodity business and certainty will have a reduced presence in the trading of cash and derivatives. Serving as commodity merchant banks and dealers involved with storage and distribution may be a thing of the past. 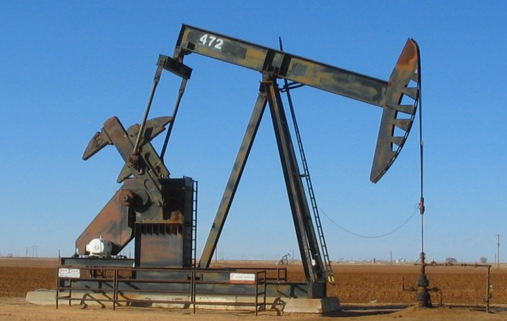 An important source of trading capital will be gone from these markets which means risk and opportunities in commodity markets will change significantly. At a high level, there will likely be a greater imbalance between hedges and speculators which means that time varying risk premia will be larger and more volatile. Banks will not be committing capital to provide liquidity and serve the needs of different market participants. This exit by banks will also led to a decline in liquidity or at least a transition in the liquidity providers in these markets. If less capital is committed, there will be an increase in liquidity risk premia. There is also be a potential break in the link between cash and futures. Banks have developed strong cash networks which have led to consistent activity in arbitrage between futures and cash markets. An important area of financial research has been the discussion on the limits to arbitrage. If financing and capital are not available to these markets, there will be more and persistent arbitrage opportunities. Of course, this just places markets in a state of flux. The exit of capital will increase profits for those who are willing to commit capital in the future. 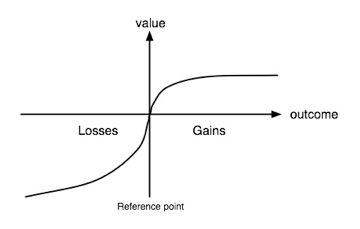 If profit margins are high enough substitute capital will be found; however, in the mean time, there is the potential for greater market dislocations. For those who speculate in commodity markets, there can be an significant increase in trading opportunities in this new environment. Price shocks could become more extended so there could be larger trends in markets. This may especially be the case over short trading horizons. There may be greater deviations from fair value which will also offer more trading opportunities through arbitrage and spread trading. Alternatively, volatility in markets could increase such that there will be greater noise from short-term market dislocations. 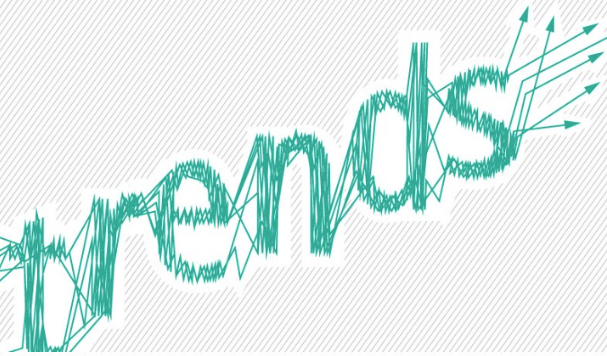 Finding trends and exploiting opportunities may be more difficult. The commodity market action will be more consistent with behavior before the ascent of bank trading. This new "old world" environment could be good for the traders who understand how to exploit hedging behavior and can provide liquidity. Markets will become more risky if there is less liquidity. As the rules of the game or market structure changes, there will be unintended consequences on liquidity and the market is moving to an environment that has less liquidity. Market liquidity is the ability of market to trade at fair value in size. It can be measured in the past, but we do not know the true extent of liquidity in the future until it is tested. There are some key structural features that will affect liquidity. Capital is needed to provide liquidity and make markets. 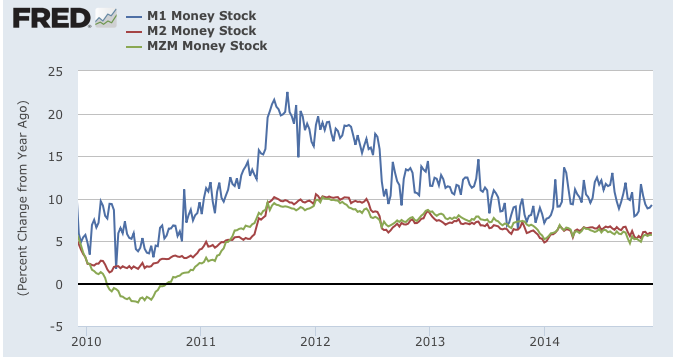 If there is less capital committed to making markets, bid-ask spreads will increase. There will not be strong buyers when sellers come to market. Larger traders on one side of the market have to be matched by market participants on the other side. Market makers provide trading immediacy at fair prices. If bank capital committed to market making is reduced and there are no alternative forms of capital, liquidity will suffer. Diversity of opinion also is critical. Liquidity will not be provided if everyone is on one side of the market. The easiest way to get differences of opinion is through having more firms provide liquidity and trade the market. More firms trading lead to more opinions. Market uncertainty reduces liquidity and the move to electronic markets may foster more uncertainty. 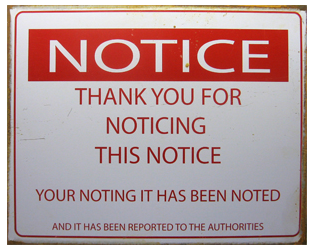 Traders cannot call around and gauge opinions of other market participants. If the rules of the game change, liquidity will become scarcer. Bid-ask spreads will increase if there is market uncertainty on why trading occurs. 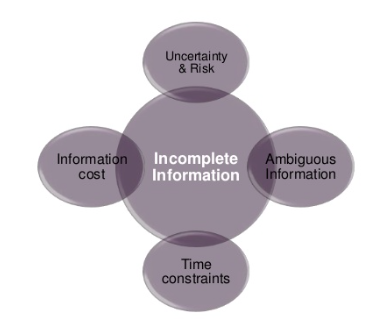 You will not trade with those who you believe have an information advantage. Government regulators and central banks have been trying to make markets more resilient by changing the rules of the game. Policy has reduced leverage, changed financing options, reduced bank activity in non-lending business, reduced profitability from trading activity, cut proprietary trading, changed money market redemption terms and pricing, and reduced shadow banking activities. All of these changes have addressed key macro prudential issues in financial markets, but they also may made liquidity a scarcer resource. The BOE's Mark Carney is sounding a alarm in his "future of financial reform" speech. Liquidity is critical for functioning markets, but may have been given a priority in the post financial crisis environment. “It is essential to bring back inflation to target and without delay”, Mario Draghi, president of the ECB, said in a speech in Frankfurt on Friday. This comment is the opening salvo for what will be the ultimate monetary battle between money suppliers and money demanders. In an effort to raise inflation rates, the ECB will do whatever it can on the supply-side. 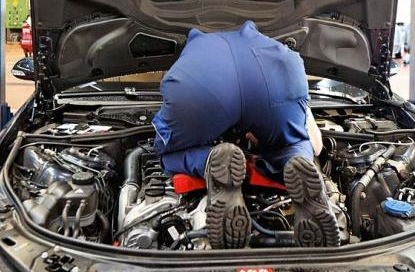 This means some further form of enhanced ECB quantitative easing. This will not be easy given the restrictions on what can be purchased by the central bank. They believe their job is to flood the market with money as much as possible to push inflation and inflationary expectations higher. 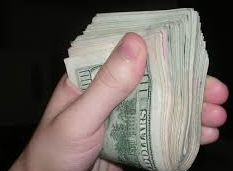 However, the demand for money or more precisely the demand for credit is not present in the financial system. 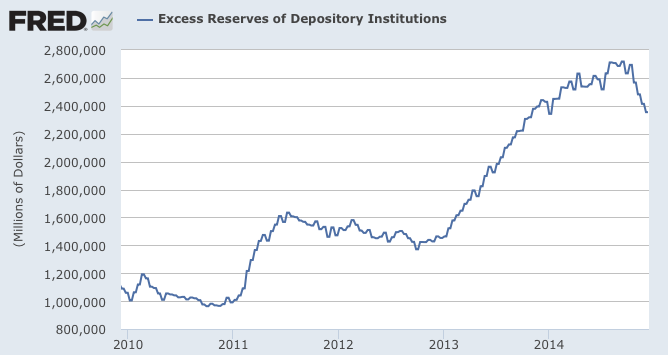 Money multipliers are down and excess reserves have been building. The demand for money is not strong. Put simply, the central bank wants to increase their balance sheet and force more money into the banking system under the hopes that at some point credit will be expanded and the money will be used to increase economy growth. This activity, in turn, should increase inflation. Another way to get credit and economic demand to increase is through changing inflationary expectations. 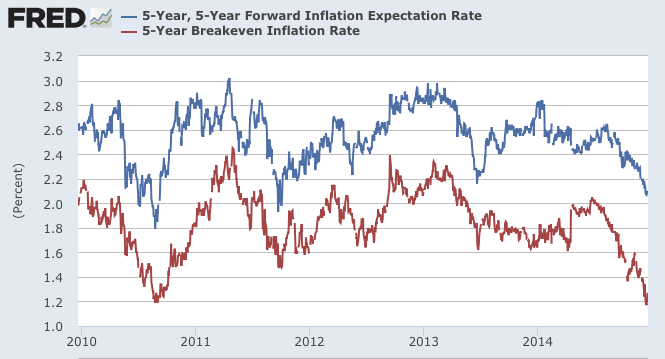 If inflation expectations increase, consumers may increase aggregate demand today instead of delaying. 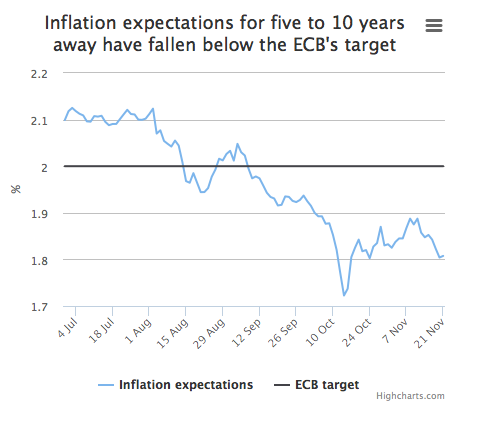 The ECB objective is to bring inflation expectations back to target in order to get changes in consumption behavior. Draghi's comments are not bold because the means of action are not clear, but it is game-on. Let's see if they can sway the market and money demand. There is big fundamental battle raging for the hearts and minds of investors, stay traditional through a core 60% stock / 40% bond portfolio or go alternative. Go cheap with traditional indices and diversify by asset class or pay more for the opportunity to diversify across more asset classes choices and through differences in style or strategy. It is a difference in diversification through the beta found in an asset class or diversification with alpha through strategy and skill. 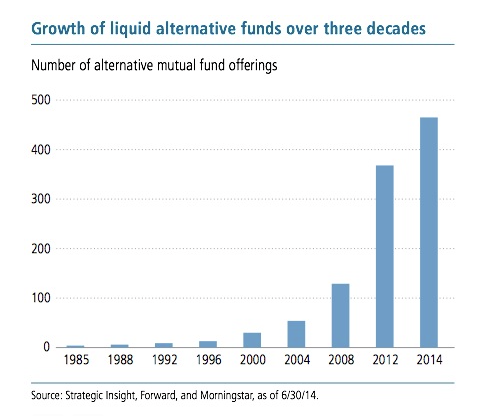 The numbers suggest that liquid alternatives and hedge funds are making significant in roads in this battle although the long history of simple diversification provides a bastion of support for classic asset allocation behavior. Nevertheless, this is not a popularity contest of gathering assets under management. Historical numbers can be marshaled for both sides, but a more important issue is the underlying assumptions for asset allocation. Here is the real battle. Should you diversify under the assumption that managers do not have skill and markets are efficient or should you hold a portfolio that accounts for skill and exploits inefficiencies and changing risk premia. Just when most investors have learned to accept the value of passive investing, there is a switch within the industry to active management through alternatives. There is more complexity and nuance to this issue than what we have outlined, but some stark choices help frame the issue of how to structure a portfolio. 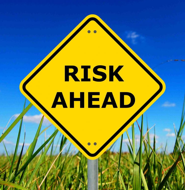 Given low bond yields, holding fixed income as a safe asset class may not be a good assumption. 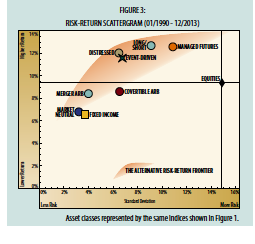 Broadening the portfolio makes sense; however, we are more suspect of low correlation from other assets classes. 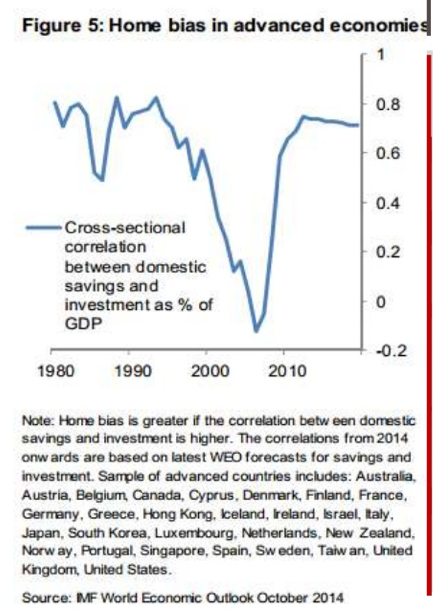 The evidence tells us that when you need diversification most correlations increase significantly. The demand for diversification cannot be met. The alternative is to gain diversification not just from asset classes but from strategies. 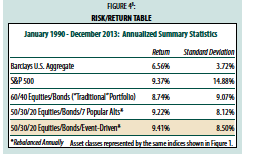 Strategy diversification may actually be more stable and unique than what we find across asset classes. However, for strategy diversification to work there needs to be a set of criteria met that includes skill, liquidity, uniqueness, and depth. The value of a strategy is by nature limited. Everyone cannot do it. Framing the asset allocation decision as one between beta and alpha, class and strategy, or passive and active skill may not make choices easier but does focus the decision on what is important. The world is getting more disconnected if you focus on global capital flows. 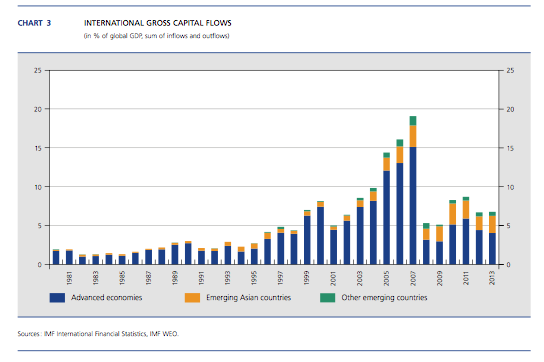 Global capital flows outstrip movement in trade, so it is a strong signal of globalization. These flows are what moves savings around the world from creditors to debtors. The numbers are showing a sea change in financial behavior. Kristin Forbes of the BOE gave a good speech on "Financial Globalization" and the implications for global finance. It tells s tory of global financial world in transition. Pre-financial crisis, the capital flow numbers were on track to represent almost half of GDP. The crisis changed the world with capital staying put or moving back to their home countries. Banks especially retrenched their appetite for global lending. This change is really hitting emerging markets. 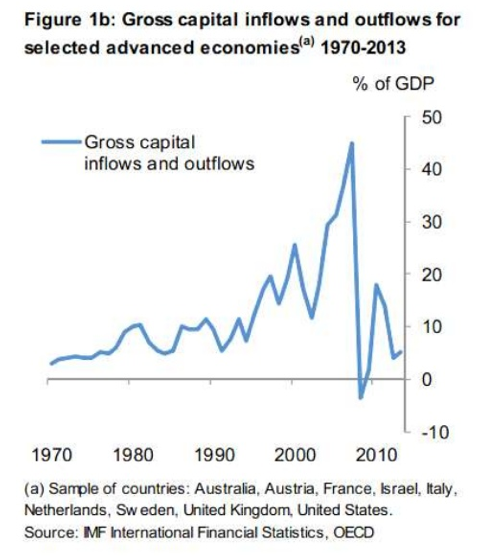 Some of this flow slowdown is associated with slower global growth. The decline is also correlated with the fact that rates around the world are at similar levels. 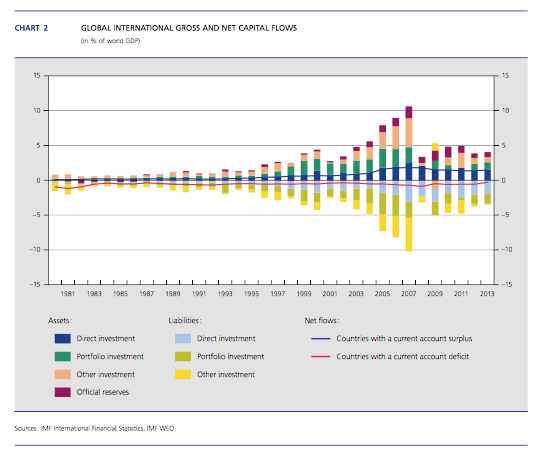 But, perhaps most important has been the anxiety about investment risks around the world. In spite of volatility in many markets being low, investor have returned to having a strong home bias. The retrenching for today may lead to more global opportunities of tomorrow; however, right now, financial behavior is reflecting an inward focus and many global investment projects are suffering. Momentum is everywhere and it is a strong foundation for any active management strategy, but there is an alternative view that chasing winners is a fool's game whereby buying of tops and bailing on losers will be a easy path to failure. The answer is somewhere between these extremes as presented by the Common Fund in their August 2014 white paper Chasing Winners: The Appeal and the Risk. 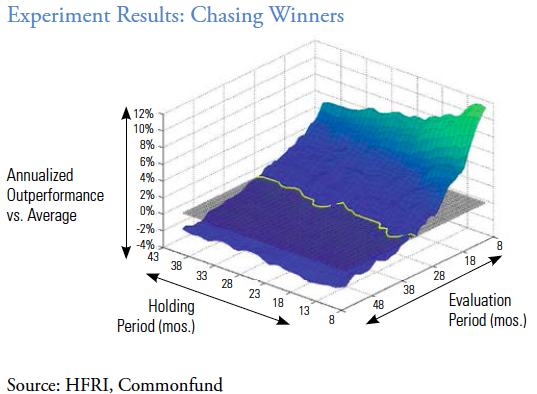 Their paper which evaluates hedge funds shows that chasing hedge fund winners, those with performance persistence, is a good thing except you do not want to chase too long. 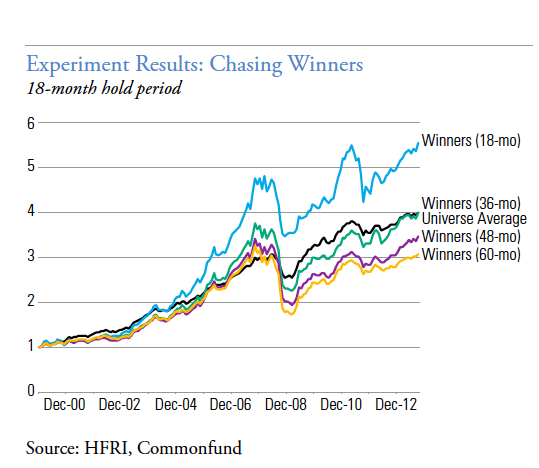 The longer you hold a winner, the more likely you will underperform. Winners get stale. This is consistent with the research on momentum in stocks and in asset classes. In fact, you should do a quick evaluation, hold the winners for under a year and then move on. 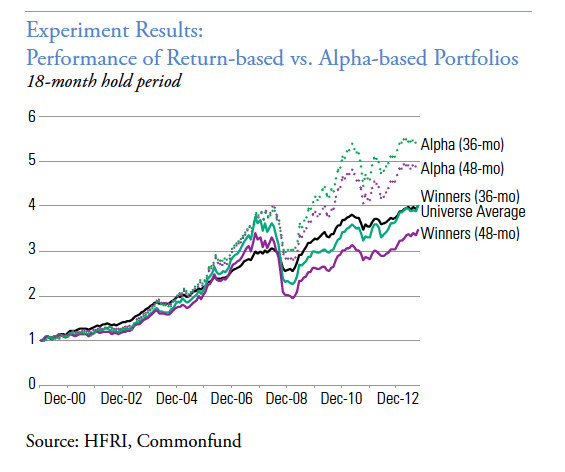 Active management of hedge fund winners makes a difference. 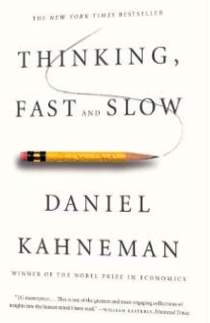 Nevertheless, their work provides additional insight on skill based or alpha managers. Choosing those who are hot may make sense, but finding those with skill is even better. 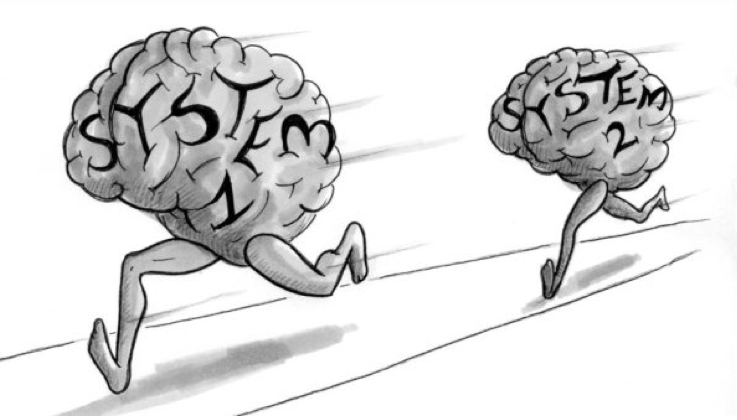 The winners or momentum strategy may be picking up trends in the underlying asset classes or beta while skills through alpha generation may transcend a trend. It is an interesting perspective which needs further exploration. 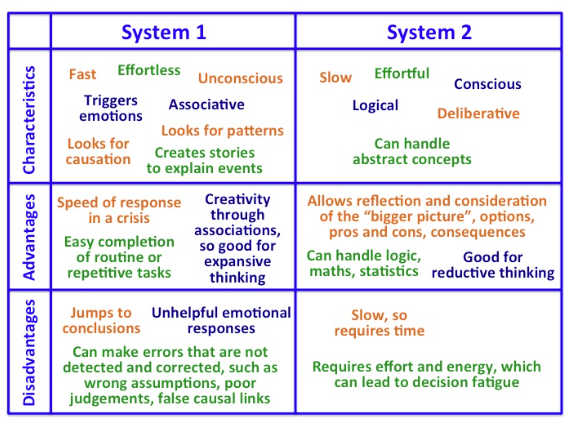 Most likely, finding winners with skill is the best of both worlds but the rarest of managers.